The Nectar and the Leesa mattress are quite similar at first glance. They are both all-foam mattresses with memory foam layers and thick, 6-inch base layers of supportive foam. They both are at a great price point for a multi-layer, all-foam mattress and are under $1000 with the Leesa more expensive than the Nectar. Overall, the NECTAR can certainly compete with other luxury mattresses that cost much more. 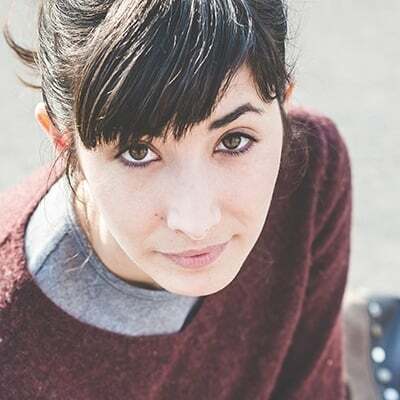 It will be a good fit for those looking for a new mattress on the firmer side while still looking for comfort and support at an affordable price point. They both offer a medium-firm level of support for an adaptive memory foam feel with a bit of push back and bounce. However, they also have a few differences which set them quite a bit apart. For one, the Nectar mattress has an unbeatable sleep trial and warranty period. As well, the Nectar mattress has more cooling features, making it the better choice between the two for hot sleepers.On the flip side of things, the Nectar mattress is made in China and the Leesa mattress is made in the USA, which may have something to do with the price difference but their rapid growth over the past year suggests that many customers don’t mind this at all. As well, the Leesa mattress donates one mattress for every 10 sold, so if you’re interested in a company’s philanthropic endeavors, this might be something that sways you. We’ve gone on to break down everything else that sets the two mattresses apart, so you can make a wise and informed decision when choosing which bed to buy. 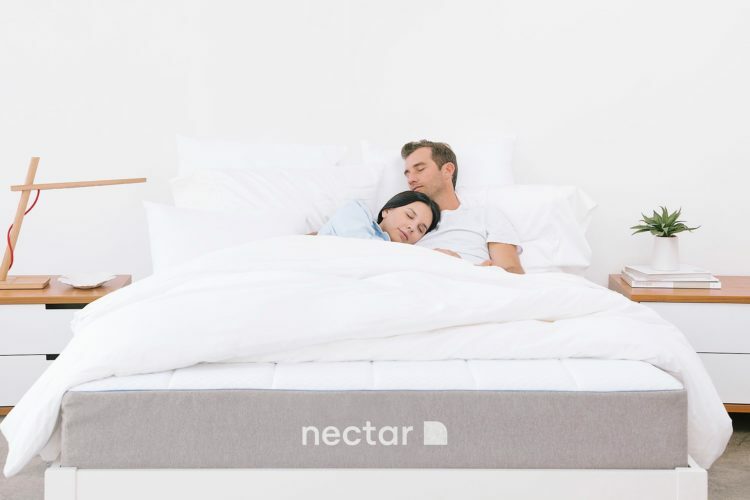 The Nectar mattress is an all foam, 11-inch-thick mattress, comprised of four performance grade layers, all designed with breathability and cooling in mind. A stable foundation is provided by a thick, 6-inch base layer of two pound, high density foam. This provides the stable base for the rest of the mattress and also means that it doesn’t require a box spring and can be put on any type of bed foundation or frame, a great selling point. Next up is an adaptive 3-inch transition layer of memory foam. This three-pound layer acts as a support layer between the foundation base layer and, with its medical grade cooling technology, is also meant to aid in cooling the mattress as a whole. On top of this we have a 1 inch layer of lush, adaptive gel memory foam, designed with semi-open cell technology for fast recovery. This gives the mattress a bit of bounce and is another layer of support and cushioning. Finally, the top comfort layer is meant to handle weight distribution and relieve pressure points on the body with its 1 inch layer of quilted gel memory foam. This layer serves not only to add a bit of cushiness and comfort to the mattress as a whole, but also helps to promote air circulation and gives a lofty, luxurious feel to the mattress. The foams used in the Nectar mattress are all CertiPUR-US certified and so are free from harmful substances and ozone depleters. All of this is wrapped up in a Tencel mattress cover, made from sustainable and biodegradable wood pulp and known to promote air circulation, wick away heat and sweat and even be bed bug resistant. Also an all-foam mattress, the Leesa mattress has three layers of foam and is just slightly lower in profile to the Nectar, at 10 inches thick. The Leesa also has a 6-inch layer of dense support foam at its base, to provide the structure and stability for the mattress. On top of the base support layer, the Leesa has a 2-inch layer of memory foam for pressure relief and support. It contours the body and supports hips and shoulders while giving that bit of cushioning and hug that memory foam is known for. At the top, we have a corrugated layer of Avena foam. This 2-inch layer allows for air flow through the pockets and channels of space and gives a bit of bounce to the overall feel of the bed. All foams used in the Leesa mattress are CertiPUR-US certified, meeting standards for indoor air quality and emissions. Unlike the Nectar mattress, it is not recommended to remove the cover of the Leesa mattress and it is basically only surface washable and made of 100 percent polyester. The Nectar mattress is considered a medium firm mattress and comes in at a 6 to a 6.5 on a firmness scale of 1 to 10. It’s high density foam layers means that it has the softness of memory foam but a bit of push back and you won’t sink as much as some mattresses that have thicker layers of memory foam. Leesa is also rated as a 6.5 on a firmness scale of 1 to 10 due to its high-density foam layers which are supportive and firm but not too hard. It has a bit of push back to the sink and a quick recovery when changing positions. The Nectar mattress offers the support and stability of a firm mattress with the comfort of memory foam and, because it is an all foam mattress with a thick, stable base layer, customers are reporting little to no motion transfer. It has no reported issues with sagging in the middle and lets your body sinks into the foam comfortably, without disturbing your partner. Because this bed is rated medium firm, there is only moderate sinkage compared to foam beds with thicker memory foam layers. Most customers report that sinkage is minimal and the memory foam hugs without too much compression. Like most foam mattresses, there is a bit of compression when sitting at the edge of the bed but nearly as much as with a softer memory foam bed. That being said, overweight people who sleep on the edge of the bed might not like this. However, one nice feature of the Nectar mattress is that, in addition to their regular, lifetime “forever” warranty, they guarantee that body impressions will not sag into the foam more than 1 ½ inches over the lifetime of the mattress and if they do, they will replace the mattress free of charge. Since the top two layers of the Leesa are Avena foam and memory foam, motion transfer is not an issue with this mattress and customers who share their bed are reporting a good level of stability with only moderate sinkage when sharing the bed. Like most other memory foam beds, this bed might have too much sinkage for heavier customers but most report that there is minimal sinkage and no sagging in the middle. Heavier customers who sleep or sit on the edge might notice some edge sinkage, but this is typical of all foam beds and heavy or overweight customers might prefer looking at a hybrid or innerspring mattress or a foam bed with a thicker foundation layer. Nectar is a great option for those looking for a memory foam mattress but are worried about sleeping too hot. The mattress contains several cooling features and many customers have reported that it sleeps much cooler than previous foam or hybrid mattresses. From the Tencel cover, which is designed to wick sweat and be breathable to the gel memory foam layers, the Nectar mattress is made with hot sleepers in mind. The top layer of memory foam is also quilted to promote air flow and even the base layer has cooling technology. 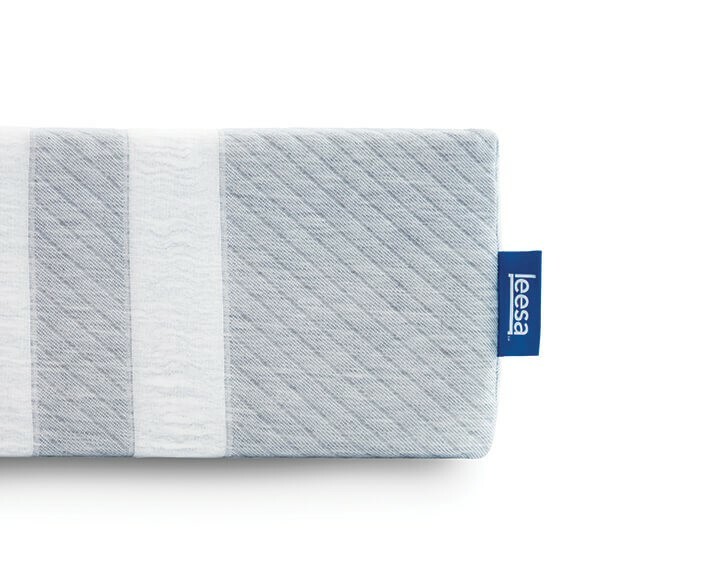 The majority of Leesa’s cooling features lies in its top layer of Avena memory foam, which has a corrugated design, allowing for more airflow and makes for a cooler night’s sleep. While it does sleep cooler than other beds with thicker memory foam layers, a few customers report that it sleeps too warm for them so, if you are known to sleep hot, you might want to look for a mattress with more cooling technology. As a firmer memory foam mattress, the Nectar bed is ideal for stomach and back sleepers as it offers a firm level of support, without too much sinkage. It’s also great for side sleepers as it provides the cushioning feel of memory foam, which helps to relieve pressure on the shoulders and hips. Customers who have back problems have reported that the firmness level of the Nectar mattress is great, mentioning that it is just the right mix of supportive and cushioning. Some users that are smaller and lightweight might find the Nectar mattress too firm, as it is on the firmer end of the scale and some are finding they like it more with an added mattress topper. Conversely, heavier customers might find that a memory foam bed has too much sink under their weight and may too better with an innerspring bed, depending on their size. The Leesa mattress boasts a design that is highly adaptive and is made to contour the shape of your body, no matter how you sleep. Because it is a firmer memory foam mattress, it offers a great level of support for back and stomach sleepers but is cushioning enough for side sleepers, as well. Customers report that it has a hugging feel without letting you sink in too much. Like most memory foam beds, this bed might not offer enough support for heavy customers and as a medium-firm mattress, may be too hard for lightweight, smaller people. The Nectar mattress has an unprecedented 365-day sleep trial. That’s right – one full year to try out your mattress to make sure it works for you. If you aren’t 100 percent happy with the bed, they will pick it up and guarantee a no hassle refund. They also boast the best warranty in the business and it lasts for a lifetime. If the Nectar mattress breaks in any way from normal use over the course of your ownership, they will replace it at no charge. Not only that, but if the mattress ever permanently compresses or forms impressions that don’t disappear, they will replace the mattress for free if the impressions are 1 ½ inches or more. Pretty hard to beat that. The Leesa mattress has a 100-day sleep trial. They ask that you try the mattress for at least 30 days to give your body a chance to adjust and see if you like it. After 30 days, if you aren’t fully satisfied with the mattress, they will arrange a free pick up and donate the mattress to a local charity or recycle it and refund your purchase in full. It also has a 10-year full replacement limited warranty which means that they will replace or repair the mattress if it has a defect that is covered under its warranty. This includes permanent indentations of over 1 inch that aren’t a result of improper base or foundation and things like broken seams and zippers. You want a long sleep trial and warranty: You’re not going to find a longer sleep trial and warranty than with the Nectar mattress. With an entire year to make sure the bed is for you and a lifetime warranty, this is the bed to pick if you’re having doubts about liking your new bed, long term. You want a memory foam mattress that’s also a bit firm: Who says you can’t have the best of both worlds? The Nectar mattress has a thick, stabilizing base layer of foam and thinner layers of memory foam at the top, so you’re getting all the benefits of cushioning, soft memory foam without too much sinkage. 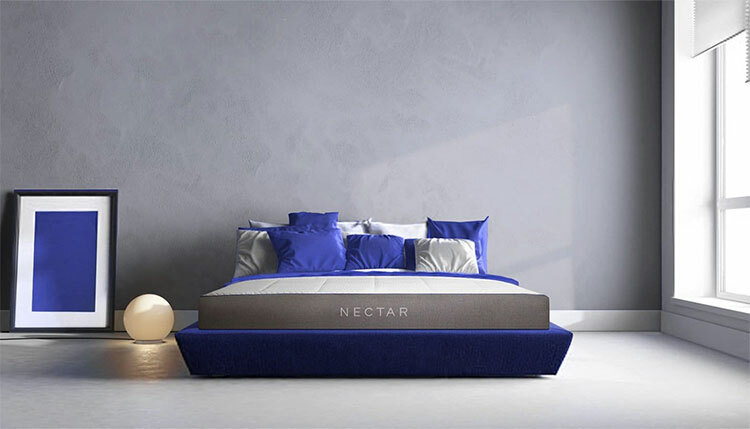 You want a memory foam mattress but you sleep hot: Customers are liking the Nectar mattress for its cooling layers of gel memory foam. This, together with a level of firmness that won’t let you sink in too much, making you hotter and a breathable, moisture wicking Tencel cover, means that the Nectar is a great pick for sweaty sleepers looking for a memory foam bed. You are a couple with different sleep styles: Couples who sleep differently (i.e. – one stomach sleeper, one side sleeper) have been giving the Leesa great feedback for its adaptive feel that suits everyone. You want a bed that has a hugging feel without too much sink: Reviews suggest that although the Leesa is too firm for some, it is great for people who want an adaptive memory foam bed that doesn’t compress too much and is supportive. You have back pain or trouble sleeping: There is a large number of users who mention that their back pain was cured or helped once they switched to the Leesa mattress and customers who have sleep problems are mentioning that they are sleeping more soundly and longer with the Leesa mattress. So, there you have it, two very similar mattresses at first glance that have some marked differences. Decide which one works best for you and don’t stress too much – they both have sleep trials so you can give either one a decent test run before committing.